Why is Christopher Nolan worth more than my video producer, Cameron? Q: We are a B2B video production company and are transitioning to lower volume, higher quality work at a higher cost. But I’m concerned we may be overestimating how good we are and how much the market is willing to pay. What should we be looking out for to make sure we’re successful in this transition? We are a B2B video production company and are transitioning to lower volume, higher quality work at a higher cost. But I’m concerned we may be overestimating how good we are and how much the market is willing to pay. What should we be looking out for to make sure we’re successful in this transition? It’s a fascinating question! Service-driven businesses have to factor a range of variables when it comes to setting prices. Even more, when that service is video production, what we’re essentially talking about is art. Art is subjective. Our first objective is to minimize the realm of subjectivity and create more of a measurable scale. To do this, let’s devise a scale from zero to ten. What is a zero in your market? Well, in video production, I’m imagining some kid filming with a smartphone and then editing with the freeware on his computer. What’s he going to charge? Maybe, ten bucks, if anything at all. Whatever zero means in your industry, write it down. On the other end of the spectrum, we have a ten. Think of a ten as the gold standard in your industry. I’m sure you know of a company at that level. Well, what do they charge? Write that amount down as well! Finally, we arrive at a trickier question—what’s middle of the road? What counts as a five in the video production industry and what do they charge? Again, write it down! Now that you have this scale, you ask yourself “Where do we fit in? What should we charge?” Let’s say Guy’s company is a seven. That means he’s average or better than average and heading toward a ten. Using this scale, you should be able to reasonably deduce your pricing. Next, ask yourself some crucial questions. What makes us more valuable than a 5? Is it the production, the material, our artistic ability, or maybe our customer service? Whatever it is that distinguishes your company, write it down in detail. Then ask yourself—what keeps us from being a ten? Why aren’t we the gold standard yet? Write down any ideas that come to mind. From there, you’ll understand how to price your service and have a roadmap for raising your game so that you can eventually charge like an eight, nine, or a ten. However, when in doubt, charge more for your services. Why? For one, it forces you to get better. But it also allows you to test your pricing structure. The two most important words when it comes to any kind of marketing (yes, this is a marketing question) are “test it”. Before you go out on the limb and change all of your sales decks, business cards, and estimates to reflect your commitment to a new pricing scale, first test that price by selling to at least two new businesses. Make sure that you’re successful with that pricing model. It is only when you prove that it works that you can move on and sell to others at that price level. Thank you for the wonderful question, Guy! I look forward to your interesting question! Ready to add another “0” to your paycheck? 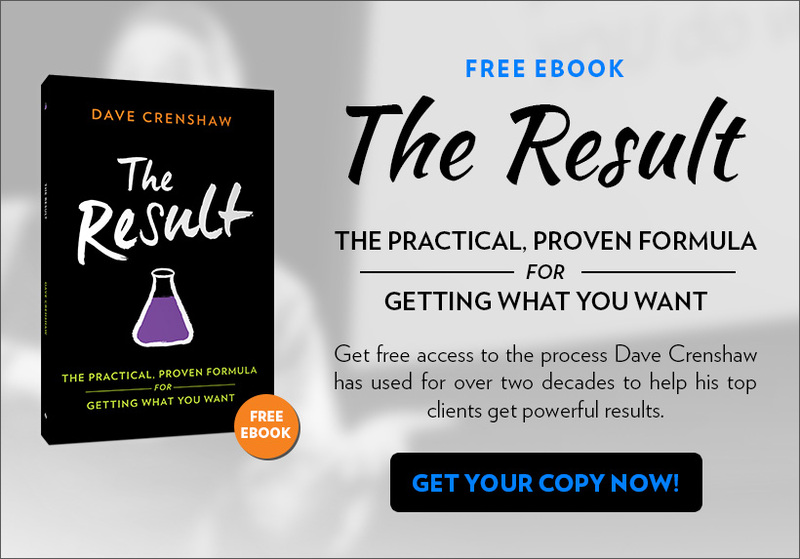 Dave’s new book The Result offers you a simple formula for getting the most out of your career where it counts the most: your pocketbook. 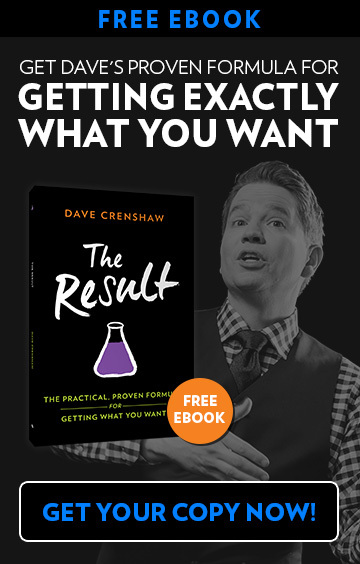 For a practical, proven formula for getting what you want, download, click here.